November’s fees cover 1st November through to 4th December. Please note – Sunday gymnasts have been charged for Sun 27th November although this will deducted from Decembers fee’s for those gymnasts attending the Jumblies competition. 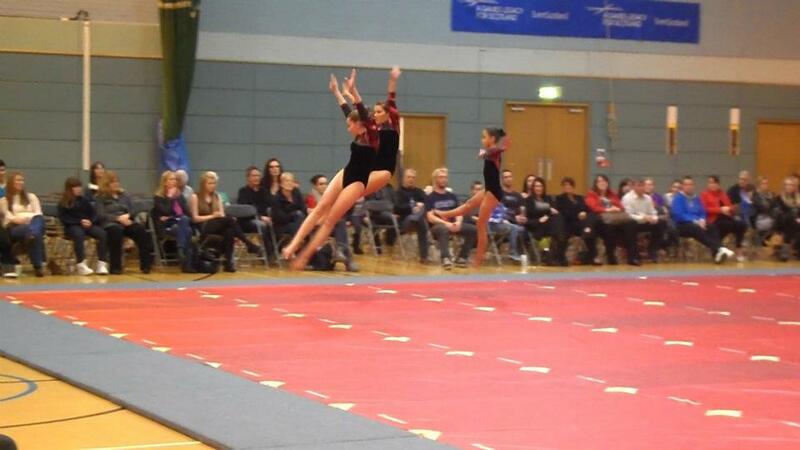 A huge well done to Laura McMillan, Sarah Finlay and Holly Kelly who represented our club last night at East Dunbartonshire School Gymfest. The girls put on a fantastic performance. Congratulations to all other gymnasts who performed with their schools:- Laura Mcmillan, Sarah Finlay, Molly Murray, Fiona Glen, Heather Mardle, Emma Owen, Ainslie Bennett, Sophie Moodie, Ingrid Corson and Caitlin Murray. Although our usual training 12-3 has been cancelled on Sunday 30th October, we have rescheduled the session from 4-7 and expect to see all Sunday gymnasts there. The club was inundated with wannabee models for the forthcoming Fashion show being held at Matalan on Sun 6th Nov and due to the numbers interested and only 20 modelling spaces being available the committee had to pick names out of a hat. Emma Leadbetter, Laura McMillan, Elizabeth Wyllie, Sarah Finlay, Alice Orr, Sophie Moodie, Shannon Quinn, Fiona Glen, Codie McInally, Molly Murray, Holly Brown, Kirtsy Knight, Ellie Gallagher, Rebecca Daly, Dani Thomson, Kirsty Kane, Ellie Reid, Amy Paterson, Anna Savage and Jade McLetchie. If any gymnasts named above is unable to attend please let the coaches know asap. More info will follow shortly on the arrangements required for the models to select their Matalan outfits.